The three types of sandwiches we offer with our fundraising program. All of these sandwiches are served on a Pacifico Kaiser Roll. You Make: Which means we provide you with all the Meats,Cheeses, Condiments, Bags and Rolls. In this scenario your group will make better profit for doing the work. We Make: We slice for and prepare the sandwiches, and organize them for your pick up or our delivery. We charge a flat rate for the sandwiches across the board, and it takes all of the work out of your hands. These sandwiches do come in a ziplock baggie with a label identifying each sandwich type. The best two days of the week to schedule the pick up of your sale are a Wednesday or Thursday. We try to avoid Tuesday, Friday and Saturday due to other constraints of the business. 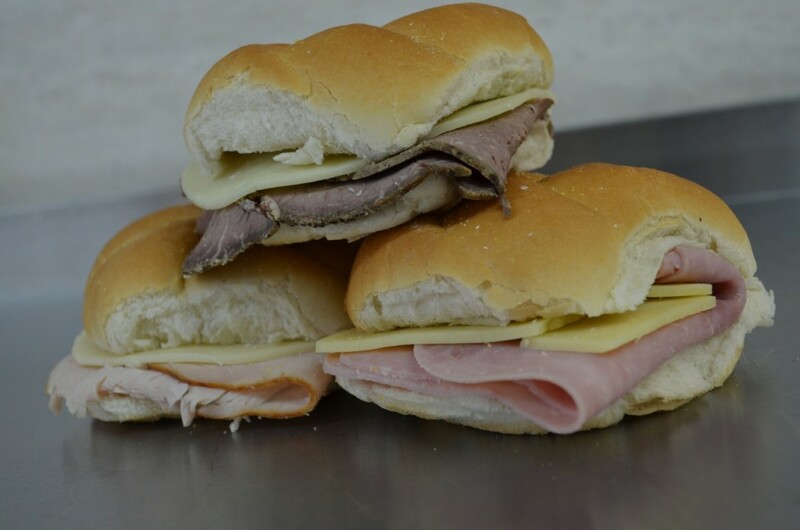 We roast all of the Roast Beef ourselves for the sandwiches, so we like to know at least a week ahead of time what an estimate of the number of sandwiches you sold are. We need time to roast and cool the beef so that it will slice correctly for the sandwiches. Please contact us to discuss the pricing on the sandwiches. Please do not download and start a sale without contacting us and setting up the appropriate date first. We want to avoid having too many sales at one time so that we can ensure your product will be finished for pick-up/delivery. Please contact us at macsgridiron@gmail.com or call (814) 684-0660 for more information. Below you can open and print our order sheets.